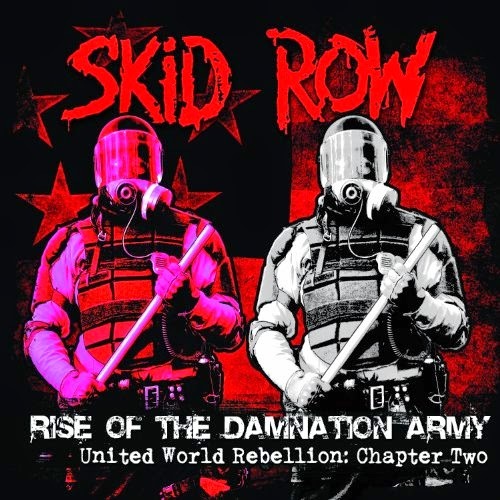 Hall of the Mountain King: Review: Skid Row, "Rise of the Damnation Army: United World Rebellion, Chapter 2"
The first track to trickle out and the lead track on the album is “We are the Damned,” which opens with a big guitar riff that again puts me immediately in mind of the band’s classic material. The song also gives us a big melodic chorus with a good enough hook to hold you. “Give it the Gun” puts me in mind of one of the heavier tunes from the band’s debut album. It has the feel of an ’80s hard-rock tune, but a tough ’80s hard-rock tune. 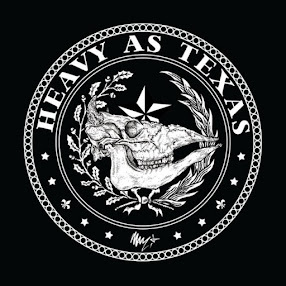 For “Damnation Army,” bassist Rachel Bolan and drummer Rob Hammersmith take the spotlight for a grinding groove that reminds me a little of the title track of Slave to the Grind. And things close out with “Zero Day,” which once again puts the focus on Bolan, at least in the early going. It’s the only one of the rockers to not play on an early Skid Row sound, and sounds more like something off Thickskin, the band’s first album with singer Johnny Solinger. And speaking of Solinger, Dave “Snake” Sabo and Bolan either have supreme confidence in him, or they’re two of the most sadistic guys on the planet. Here, you’ve got a guy that’s already being compared to Sebastian Bach every time he opens his mouth, and who do they choose for him to cover? Freddie Mercury and Steven Tyler. Talk about a tough job. I appreciate, though, that they didn’t choose the expected cover tunes from Aerosmith and Queen. First comes Queen’s “Sheer Heart Attack,” which is actually a very solid cover, but then again, it’s built right in the Skid Row powerhouse. It was a great choice for cover and works well. From Aerosmith, they choose “Rats in the Cellar,” which doesn’t fare quite as well. Musically, they hold their own with the rollicking song from Rocks, but Solinger just doesn’t quite have the right attitude to my ears. In fairness, though, Aerosmith is my favorite rock band and Rocks is probably my favorite hard-rock album ever, so it’s going to be tough for anyone to get points with me covering a song from it. I wondered if Skid Row, which has had a spotty history of releases since parting ways with Bach could keep the momentum they created on last year’s EP rolling, and the answer is, quite happily, yes. I don’t think Rise of the Damnation Army is quite as strong as United World Rebellion, Chapter 1, which was easily the best thing they’ve released since Subhuman Race, but it’s still a very good record and makes me look forward to what comes next. It seems, finally, that Skid Row has found its way again.